Yesterday on 9th June 2010 at almost 10 PM more than 50 Containers of Nato Forces where destroyed Near Islamabad when they where going to Motorway. The Containers where taking Things and Oil for Nato Forces in Afghanistan from Pakistan Capital Islamabad and when they reached area of Sangjani near Islamabad they where attacked by Militants. 50 Containers where destroyed on spot while more than 8 people where killed. The 8 People where are killed where locals of Islamabad. 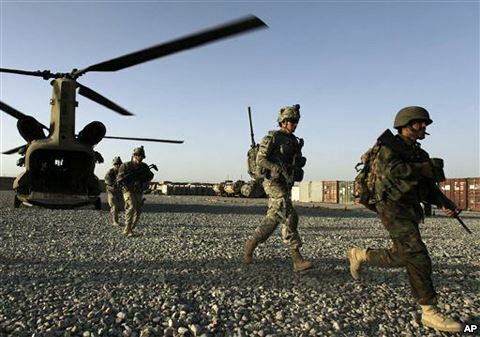 No Organization has yet taken the Responsibility of this attack.When This Bad news for Nato Forces was coming from Islamabad another bad news for them came from Afghanistan where a Nato Helicopter was destroyed by Afghan Taliban in which 4 Nato Soldiers where killed. in last 3 days more than 20 American and Nato Soldiers are killed in Afghanistan.